Paros island! A complete guide for 2019! Have you been on Paros island before? If yes, you would know that it is quite busy and full of tourists, especially during the high season. If no, then you just heard from me that’s a busy island! 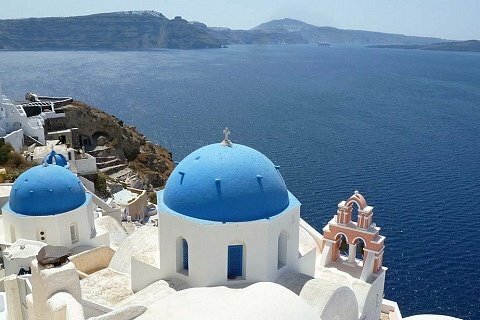 And although, it’s not so famous as Mykonos and Santorini, it’s one of my favourites, because it has one big plus! It’s for everyone! It has beautiful beaches, sports activities, trendy bars and clubs, tasty food, wineries, traditional architecture, paths for trekking and hiking etc. The list as you might understand goes endless. That’s why if you go to Paros, you notice the variety of ages that visit it, from young people and students to families and older couples. This creates an amazing mix that gives this island an extra dimension! The months May, June and September are the more ideal, as the island is quiet and the rhythm slow as it should be! Before revealing our tips, let’s go and present all the things that you cannot miss when you visit the island. 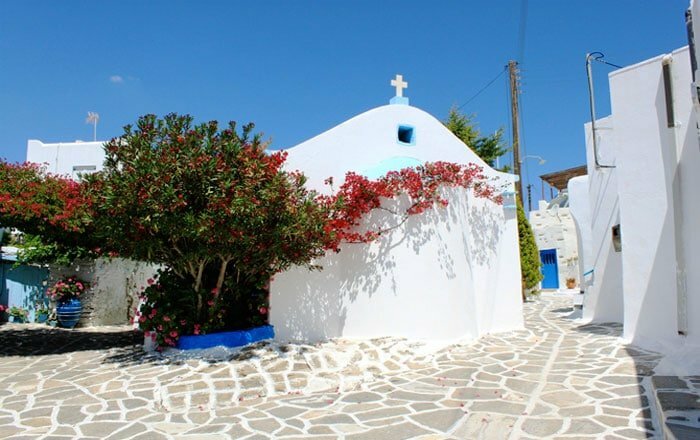 Visit Antiparos: Antiparos was really an island for total isolation and relaxation, but the recent years that has changed a little bit as it attracts more tourists every year. Still, it is a picturesque island located opposite Paros and it is ideal for one day trip. Ferries from Paros to Antiparos depart very frequently from Parikia or from Pounta, in case you want to get a vehicle with you (not entirely necessary for one day trip). Panayia Ekatondapiliani church: It is a historic Byzantine Church, built back in 4 century in the port town of Parikia. This church is known as the Church with 100 doors and is one of the most important preserved churches of Greece. There is a legend, which claims that 99 doors have been found in the Panayia Ekatondapiliani, but the 100th will be discovered only when Constantinople (Istanbul) is Greek again! 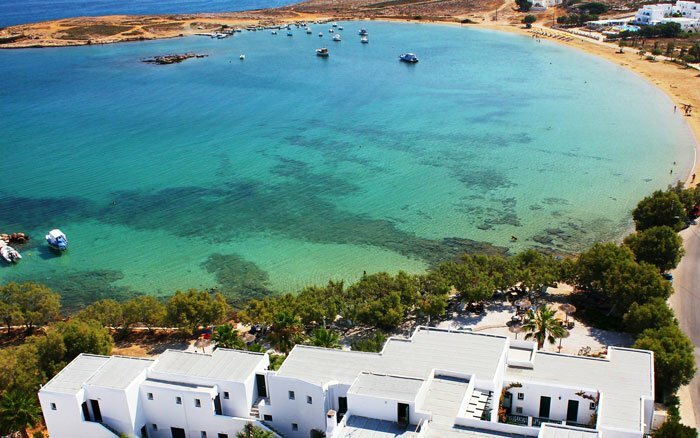 Water sports: If you like water sports, then Paros is a great choice for you! You can do various sports like surfing, windsurfing and kitesurfing, kayaking and canoeing, kiteboarding, etc at Golden Beach (our favourite beach for water sports), New Golden Beach and Santa Maria. Naoussa: Just get lost on its alleys, as it is a very beautiful port. Ideal place for food, coffee and of course drinks! Paros is also amazing for its beaches. 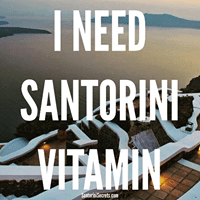 Don’t forget to visit Kolimbithres, Santa Maria, Golden Beach, Monastiri, Faragkas and many many more. We give an extra tip for a beautiful beach just below! 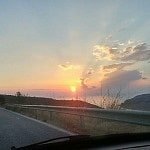 We gathered the best hotels in Paros, but firstly let’s point out what are the best areas that you should look for. The main towns that you can stay in are Parikia, Naoussa, Piso Livadi and Drios. 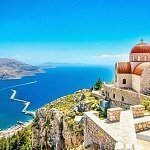 Lefkes is also a good and affordable choice, especially if you don’t mind to stay on the mainland of the island. 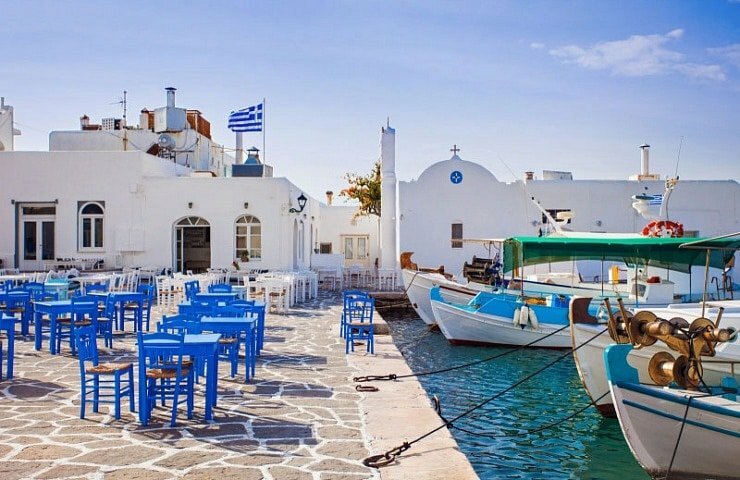 You can find here a complete list with the best hotels in Paros Island and a detailed map. Now that we highlighted the top points for Paros, we will give some extra tips, some extra secrets! Almost 15 minutes away from Paroikia (the port) there is a place known as “Butterfly Park”, an idyllic landscape with dense vegetation. The park is open from June to September from 9 am to 8 pm. During the summer the butterflies cover literally the leaves of the trees! It is amazing to see them flying because the colour under the wings is bright red, unlike the rest of the body which is dark! 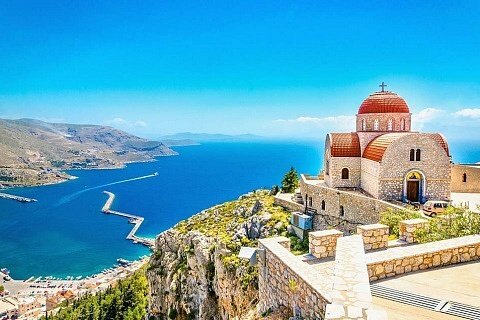 Visitors are amazed by this heavenly place which is quite uncommon in the Cyclades and dry islands. Lefkes is probably the most famous mountainous village on Paros island and really it’s worth spending some time wandering the alleys. But if you leave your car there, your watch and your stress, then you can follow one of many trails of the Paros island that goes to village Prodomos. This village keeps the serenity and the traditional colour of an era that has been passed. Get lost at the white colour of the village and get the paths to the two monasteries. One of them, the Central Baptist Church celebrates on 27th July with a great festival! There are many beautiful beaches like Chrysi Akti, Pounta Bar Beach, Santa Maria, but also Faraggas and Aliki. 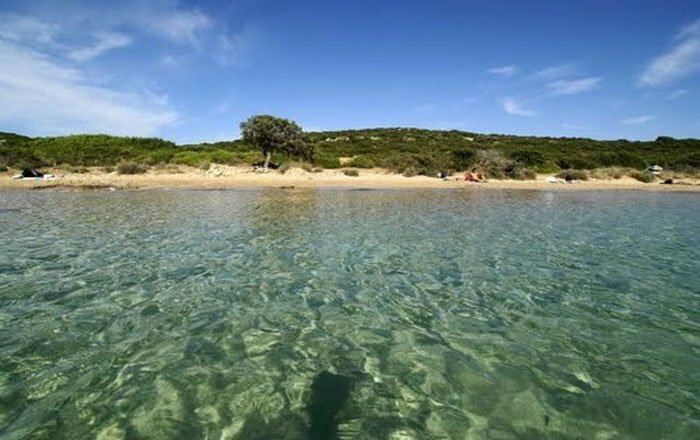 But, close to Naousa you will find a lovely beach Laggeri with white sand and spectacular sand dunes, and cedars trees offering the requested privacy for the lovers of unspoiled nature. And when the night comes, we have another suggestion to make. We love Parikia and especially Naousa’s nightlife because they have very trendy bars and clubs and many young people gather there every night. But, if you are looking for a nice atmosphere and music then you should go to the Golden Garden Bar. This is a meeting point for those that love chill out and funky music. Enjoy your cocktail in the amazing garden or around the big bar, which is an ideal place to meet people and relax. You can find at the below map our extra tips. Do you have anything secret to share with us about beautiful Paros? Just leave us a comment! 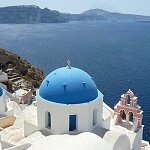 Newer21 Best Hotels in Santorini for 2019! 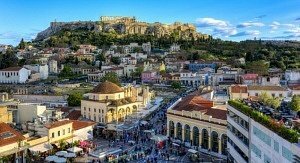 OlderBest and Worst Time of Year to Visit Athens! Beautiful Island to enjoy summer vacations, Paros is a Greek island which belongs in Cyclades group. It is the third largest island in the Cyclades. 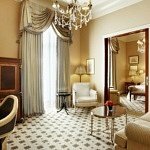 Thanks for sharing this amazing place information with us.